Stichting SIGL has ANBI status (= Public Benefit Organisation). 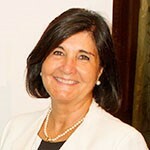 Glòria Pérez-Salmerón became IFLA President in August 2017. She is also Past-President of FESABID, Federación Española de Sociedades de Archivística, Biblioteconomía, Documentación y Museística (Spanish Federation of Archivist, Librarianship, Documentation and Museum Associations). She works at Diputació de Barcelona and has held many leadership roles in her distinguished career including Director of the National Library of Spain (2010-2013) where she also was member of its Governing Board and Executive Committee (2008-2013). Under her management, the Library developed many innovative projects including the systematic digitisation of holdings, thanks to a partnership agreement with Telefónica, which foresaw the digitisation of 200,000 book titles. Glòria's involvement with IFLA is long-standing, being a former member of IFLA’s Public Libraries Standing Committee (2005-2012) and member of the Executive Committee and Vice-President of EBLIDA, European Bureau of Library Information and Documentation Associations (2008-2015). Gloria is an experienced public speaker and regularly gives professional lectures. 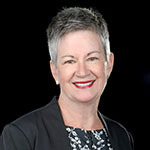 Christine Mackenzie is a freelance librarian and until recently Executive Officer of Public Libraries Victoria Network. She retired as CEO of Yarra Plenty Regional Library Service in January 2016 after 12 years in that role. Previously she was Manager of Brisbane City Council Library Service and Mornington Peninsula Library Service. Christine is President-elect of IFLA and an Executive Committee member of INELI-Oceania. She has been a member of the Australian Government’s Public Lending Rights Committee; the Library Board of Victoria’s Advisory Committee on Public Libraries; the Victorian Government’s Ministerial Advisory Council on Public Libraries; the Executive of the Public Libraries Victoria Network, and a juror for the Intelligent Communities Forum. She has held a number of roles in ALIA including President 2003-04. She was awarded an ALIA fellowship in 2008 and the VALA Robert D Williamson Award in 2012. 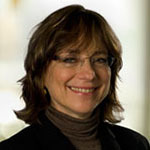 Deborah Jacobs has served as the director of the Global Libraries initiative at the Bill and Melinda Gates Foundation since 2008. Through this work she oversees the foundation’s work to improve the lives of one billion “information-poor” people by 2030 while positioning the world’s 320,000 public libraries as critical community assets and providers of information through relevant technologies. Jacobs began her career as a children’s librarian forty years ago, and has worked in rural and urban settings in the United States. Prior to joining the Foundation she served as Seattle Public Library City Librarian for 11 years. In addition to directing the Seattle Public Library system, Jacobs led a $291 million capital-improvement program called “Libraries for All” that funded the construction of a new Central Library and renovated, built, or expanded 26 branch libraries. Deborah’s focus is building collaboration among the leading library support organizations globally, assisting them in long term financial sustainability, as well as focusing on the future leadership for public libraries. She believes, in keeping with IFLA’s Global Vision, that for libraries to be known and recognized as engines of development and funded as key community assets, there first must be a strong, united, aligned and connected library field. Because she believes libraries, regardless of location or demographics, have much more in common than differences, she will champion IFLA’s commitment to bringing alive the strategy that comes from the work of the Global Vision. As she looks to her future work, Jacobs knows that her most satisfying moments are working to engage, build and strengthen communities. She believes that through working together, anything can be achieved. 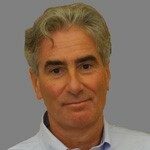 The Secretary General of Stichting IFLA Global Libraries is Gerald Leitner. Gerald Leitner took on the role of IFLA Secretary General in June 2016. He is responsible for the strategic and operational direction and financial management of IFLA. Gerald Leitner has worked in senior positions at international organisations and in Austria’s cultural, scientific and educational sectors. Prior to becoming IFLA Secretary General, he was the Secretary General of the Austrian Library Association. Gerald studied literature and history at the University of Vienna, and after his studies worked as journalist, chief editor of the Austrian Library magazine and head of training for public librarians in Austria. He is a past president of the European Bureau of Library Information and Documentation Associations (EBLIDA) and a member of national and international advisory bodies in cultural, education and scientific sectors. He is highly experienced in negotiating with politicians, authorities, lobby groups, publishers, artists, businesses and strategic partners. In 2017, Gerald Leitner initiated the Global Vision project. The board of the Stichting SIGL does not receive any remuneration for their services as board member of the board. A reimbursement of expenses is possible.